What is a Modern Engagement Ring? The term “modern” can mean many things when describing a ring. With bridal jewelry, modern design engagement rings are those that take classical elements and reconstruct them in non-traditional ways. These new modern elements include asymmetry, negative space, and tension setting. Our AZEERA modern engagement rings feature split shanks, bypass settings, multiple prongs, braided patterns, and modified halos. Should I get Unique Modern Engagement Rings? We recommend unique modern engagement rings for those who are sophisticated, bold, and adventurous. Even though they are not conventional, our rings still exude elegance while making a big splash. Modern style engagement rings will announce your unabashed free-spirited tastes to the world. What are the types of Modern Engagement Rings? At AZEERA, our modern rings include designs with the following center stones: round, oval, cushion, princess, emerald cut, marquise, and pear shape. The modern emerald cut engagement rings are our favorite. Both designs with emerald cut center stones have the gem sitting between a split shank setting: one with the gem in an East-West style, and the other set traditionally. For more diverse designs, try modern round engagement rings. They come in bypass, split shank, braided, compass, and tension settings. What is the best metal for Modern Design Engagement Rings? Our modern engagement rings come in the following metals: 14k White Gold, 18k White Gold, 14k Rose Gold, 18k Rose Gold, 14k Yellow Gold, 18k Yellow Gold, Platinum, and Palladium. The most budget friendly are the modern gold engagement rings. You have the option to design your ring in three colors: white, yellow, and rose gold. Modern white gold engagement rings are most popular, followed by yellow and then rose gold. If you are looking for your something more opulent, we recommend you try modern platinum engagement rings. Platinum rings have the sleekness of the white metal with a luxurious heft. What colored gem is the best for Modern Emerald Cut Engagement Rings? We have 11 vibrant gems to choose from: Amethyst, Aquamarine, Black Onyx, Blue Sapphire, Citrine, Diamond, Garnet, Peridot, Pink Tourmaline, Ruby, and Swiss Blue Topaz. 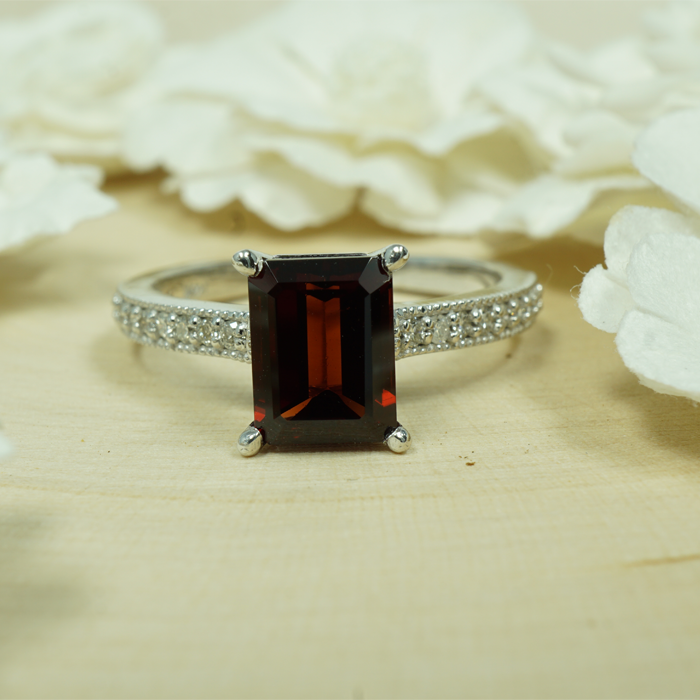 The modern sapphire engagement rings are the most popular, but we believe that any combination of gems can work. Other possible combinations include Diamond and Black Onyx; Peridot, Pink Tourmaline, and Swiss Blue Topaz; Ruby and Sapphire; and Amethyst and Citrine. Why should AZEERA make my Modern Gold Engagement Rings? 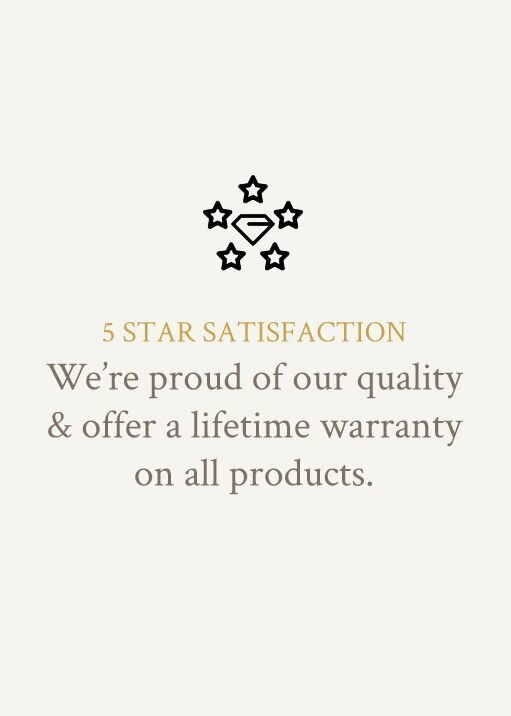 We offer a lifetime warranty on all our modern engagement rings. We stand by our quality and hope that these rings become heirlooms in your families for future generations to pass down. When you make a modern engagement ring online, it should be a stress free process. The value of luxury engagement rings would make anyone second-guess standard shipping; however, we also offer free insured shipping and returns on all our products. We hope that you take a chance and build a modern engagement ring to explore the beauty and allure of an AZEERA ring. 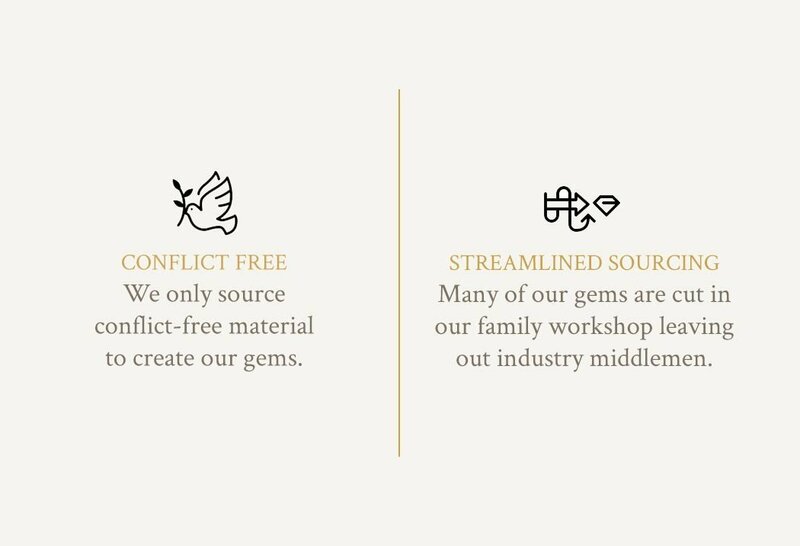 Discover how easy it is to create a one-of-kind piece of jewelry and buy modern engagement rings without leaving the comfort of your own home.